KC and the Sunshine Band was immortalized, today, Saturday, July 6, 2013, into the Palm Springs Walk of Stars as fellow entertainer and star recipient Barry Manilow presented the group with the 357th star. In addition, in celebration of the star dedication, Ruby’s Diner, located at 155 S. Pal Canyon Dr., will be offering two limited-time special items from their delicious menu starting today, Friday July 5 – Sunday July 7; the “Boogie Burger” and the “Shake, Shake, Shake” Shake. While See’s Candies will be creating a special commemorative wrapper for their popular Butterscotch Chews to be renamed for the day “Boogie Chews” and will highlight KC’s other favorite See’s item Sugar Free Peanut Brittle. WHO/WHAT: KC and the Sunshine Band, award-winning entertainment legends, were honored by The Palm Springs Walk of Stars during the 357th star dedication ceremony. Award-winning musical legend Barry Manilow presented the star. WHERE: 144 S. Palm Canyon Drive – directly across from Ruby’s Diner and in front of See’s Candies. The star ceremony was open to the public and media. 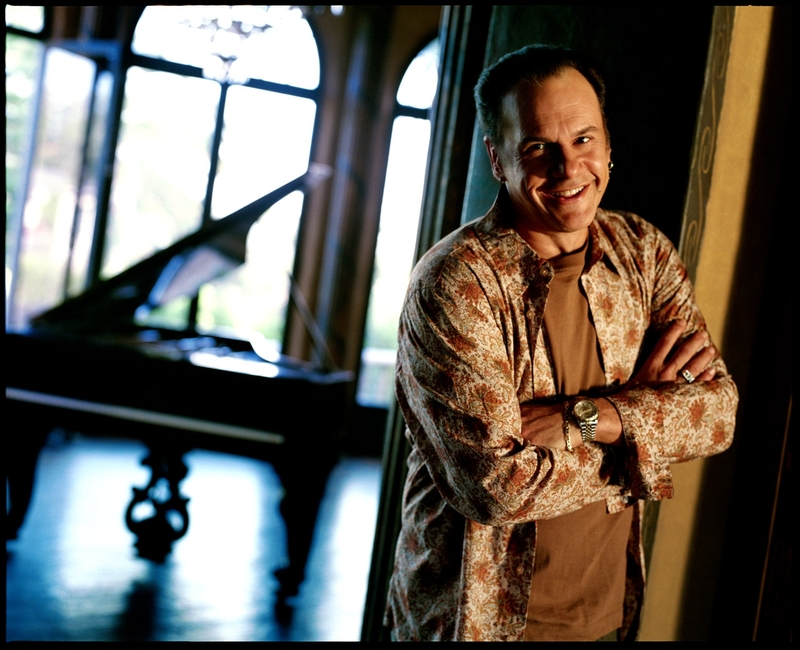 KC and the Sunshine Band will be performing later that evening at 8 p.m. in the Special Events Center at Fantasy Springs Resort Casino located at 84-245 Indio Springs Pkwy. in Indio. Call (800) 827-2946 for tickets. Things have changed drastically since 1973, but one thing hasn’t changed – the infectious, feel good happy music of KC and the Sunshine Band. Harry Wayne Casey – “KC,” for short – developed a unique fusion of R&B and funk, with a hint of a Latin percussion groove. “I remember that I always wanted to do something that would make people forget about their problems and be happy,” KC recalls. “I always loved music and I was fortunate enough to grow up in a multi-ethnic area that exposed me to a lot of different cultures and music…from Pop to Reggae to Latin. I experimented at trying to put all three types of music together and the Sunshine Sound was born.” Yielding an impressive string of #1 hits “GET DOWN TONIGHT”, “THAT’S THE WAY (I LIKE IT)”, “BOOGIE SHOES” and “ROCK YOUR BABY”, KC and the Sunshine Band became the first act to score four #1 pop singles in one 12-month period since The Beatles in 1964. With sales of over 100 million records, nine Grammy nominations, three Grammy Awards, the NARAS Governor’s Award (highest honor given by a chapter of the academy), and an American Music Award, KC and the Sunshine Band was one of the most progressive bands of the ‘70s and is credited with changing the sound of modern pop music. Their music has been featured in over 200 motion picture soundtracks, video games, sporting events and TV shows including Desperate Housewives, American Idol and Dancing With The Stars. Music acts like White Zombie, Baha Men and Beyoncé Knowles have covered his music. Their infectious grooves and bass lines have been sampled by R. Kelly, Snoop Dogg and Trick Daddy, to name a few. The Palm Springs Walk of Stars, founded in 1992, has honored 356 individuals with a Golden Palm Star placed on the sidewalks of Palm Springs. Show business Honorees must have made an impact worldwide in the area of show business. All other star honorees must have contributed to the charm, worldwide prominence and name recognition of Greater Palm Springs. “We are very proud to honor KC and the Sunshine Band with a star on the Palm Springs Walk of Stars”, said Bob Alexander, President of the Palm Springs Walk of Stars. Formed in 1973, KC and the Sunshine Band aims to serve a single purpose: to create instant happiness through music. For 40 years the group has done just that, topping the charts with seven No. 1 singles and three triple platinum albums, winning three Grammy Awards, including Album of the Year for the Saturday Night Fever soundtrack, an American Music Award, and becoming the first act since The Beatles to score four No. 1 pop singles in one 12-month period in 1976. In 2001, KC was honored with the National Association of Recording Arts and Sciences Governor’s Award, the highest honor given by a chapter of the Academy. KC &The Sunshine Band’s “Boogie Shoes” was recently selected for preservation by the Library of Congress. Harry Wayne “KC” Casey will receive a star on The Palm Springs Walk of Stars July 6th and has had numerous media stops this year, including Paula Deen’s “Paula’s Best Dishes,” “Designing Spaces” and more. The band’s infectious sound gives life to countless ad campaigns and hundreds of movie soundtracks. KC and the Sunshine Band has defined disco and forever influenced music with its timeless sound and mission of getting people out of their seats to celebrate, which is still being fulfilled today. The iconic KC and the Sunshine Band has joined forces with UK dance music super duo Bimbo Jones to release the band’s first single in over a decade, “I Can’t Get You Out of My Mind” (Sunshine Records). The infectious dance mix is available on iTunes, Amazon and all other digital music services.To learn more about KC and the Sunshine Band and to find more details about its upcoming tour dates, visit www.heykcsb.com.